Sponsored and managed by Daegu Foundation of Culture, Colorful Daegu Festival offers performances and art programs for everyone to enjoy and participate in. A variety of events are held and the highlight of the festival is the Colorful Parade. Other activities include rock & b-boy dance competitions, concerts, and food trucks to get your fill. 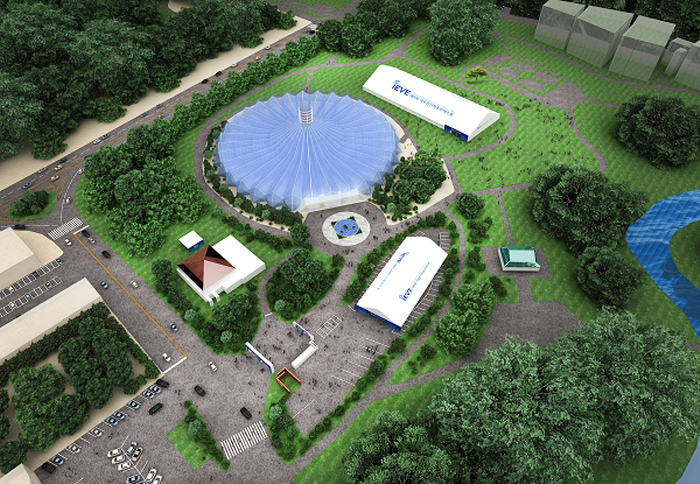 Being the only expo in the world focusing on electric vehicles, International Electric Vehicle Expo is held in Jeju annually. Noted manufacturers of electric vehicles, electric motorcycles, batteries, and chargers from both the domestic market and abroad attend the expo. Those manufacturers introduce and promote their products in the expo. At the same time, a conference is also held for domestic and international electric vehicle experts to participate in. 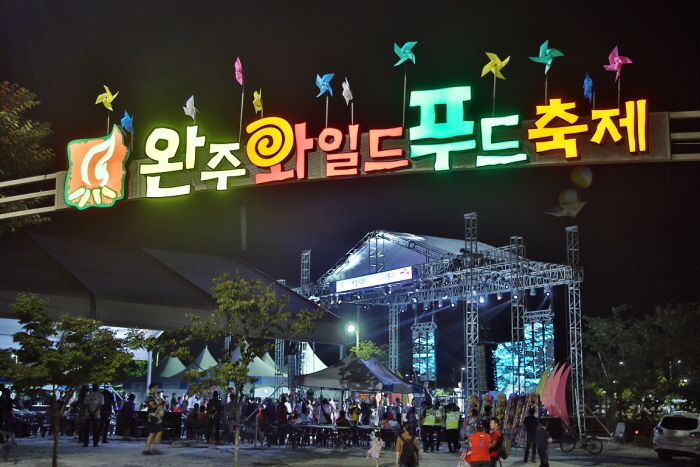 Seopyeonje Boseong Sori Festival is a performance art festival with various pansori related competitions. 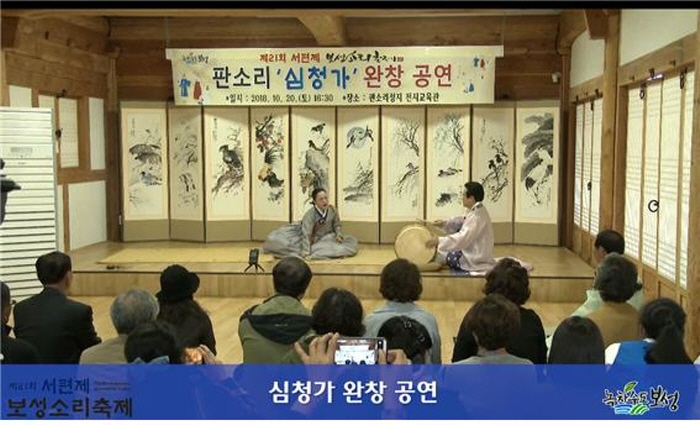 The festival not only spread Pansori, a UNESCO Intangible Cultural Heritage, to wide audience, but also provide various programs for everyone to enjoy. Boseong is considered the birthplace of the commercial tea industry and is the largest producer of tea in the country. At the Boseong Green Tea Festival, some of the most popular festival events (most of which are held out in the green tea fields) are the hands-on experience programs such as picking tea leaves, making tea, and sampling green tea snacks. Other events such as the tea exhibition & sale, and a number of celebratory performances are also scheduled to be held during the festival period. DMZ Peace Train Music Festival aims to promote freedom and peace through music. The festival is held at Seoul and Cheorwon, Gangwon-do providing conferences, showcase, main concert and special programs. Every year, Hanu (Korean native cattle) Festival takes places in Hoengseong County, where the climate and the environment are said to be perfect for raising cattle. The festival attracts a large number of people, who come to try the usually expensive Hoengseong hanu beef at affordable prices, along with another specialty of Hoengseong County, deodeok (mountain bellflower). In addition to food sampling, the festival holds diverse agriculture experience programs, while offering access to nearby attractions such as Hoengseong Hot Springs and Jucheongang River Natural Forest Lodge. Wanju Wild Food Festival is a 3-day festival is held across the beautiful city of Wanju, a city where you can experience cheonryeop (fishing by hand) and the gorgeous Korean wilderness. The festival also provides environmentally-friendly food experiences using local agricultural products, along with various wild plants and animals from Wanju. This festival aims to give visitors a feeling of sentiment for food from the past through partaking in the diverse experiential food programs surrounded by the beautiful natural environment. This festival celebrates the beautiful lotus flowers and highlights the importance of preserving wild flowers. 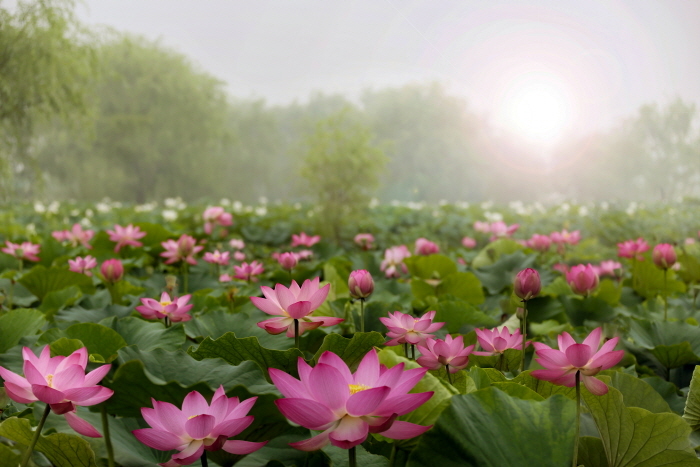 The festival programs contain many events related to lotus flowers, such as making paper lotus flowers and making lotus flower soap, which are the two particularly popular programs with international visitors. Various other popular tourist destinations are located nearby the festival grounds including several Baekje (18 BC-660 AD) cultural historic sites such as the Baekje Wangneungwon (royal mausoleum), Nakhwaam, and the Baekje Historical Museum. Jongmyodaeje, Korea’s Royal Ancestral Memorial Rite, is a traditional ritual that has been recognized with many important designations. It is a UNESCO Masterpiece of the Oral and Intangible Heritage of Humanity, Important Intangible Cultural Property No. 56 (Jongmyo Jerye), and Korea’s Important Intangible Cultural Property No. 1 (Jongmyo Jeryeak). The ritual is held yearly on the first Sunday of May. It begins with eogahaengnyeol(어가행렬), the fabulous royal parade dating from the Joseon Dynasy, which is truly a sight to behold as it moves through the modern city. Over 1,200 people proceed from Gyeongbokgung Palace, pass through downtown Seoul via Sejongro, Jongro 1, 2, and 3-ga, and finally arrive at Jongmyo. Jongmyo Daeje originated as a royal ancestral ritual to honor the past kings and queens of the Joseon dynasty. During the Joseon era, the ritual was held five times a year (spring, summer, autumn, winter, and December) until it was abolished by Japanese colonial rule. In 1969, Jongmyo Daeje was reinstated and has been held in May every year since. 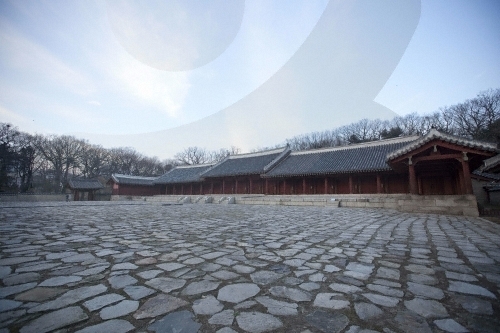 Jongmyo Shrine, the destination of the procession, was the setting of ceremonial rituals during the Joseon Dynasty. Originally, Jongmyo only referred to Jeongjeon (Main Hall) where the memorial tablets of Joseon’s reigning kings and queens are enshrined. Today, however, Jongmyo also encompasses Yeongnyeongjeon (Hall of Eternal Peace) where the tablets of posthumous kings and queens are enshrined and Gongsindang (Hall of Meritorious Subjects) where the tablets of esteemed ministers of the state are kept. To participate in the ceremonial rite, the kings of Joseon traveled to Jongmyo Shrine with princes and subjects in the eogahaengnyeol royal procession. Today, its reenactment features a king mounted on a royal palanquin and accompanied by civil and military officials and guards that stretch to the front and rear of the procession. The Jeongjeon Jehyang rituals are held according to Confucian tenets, largely consisting of the greeting, serving, and bidding farewell to the spirits. Each procedure is accompanied with Jongmyo Jeryeak, a ritual music performance played with pyeongyeong, bokgo and other traditional instruments, and parilmu, a dance performed by 64 female dancers. Jongmyo Jeryeak, Korea’s Important Intangible Cultural Property No. 1, was created under King Sejong the Great and adopted by King Sejo. The name refers to the entire series of music and dance performed during the Jongmyo rituals. Distinct music is played for each procedure of the Jongmyo Jerye rituals with accompanying songs called Jongmyoakjang and Ilmu dances called botaepyeongjimu and jeongdaeeopjimu. 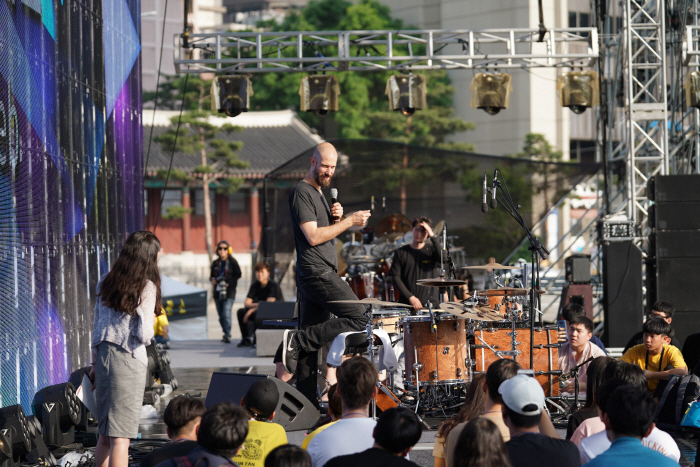 Seoul Drum Festival is one of the representative international festivals in Seoul and offers hands-on activities through which participants of all ages can joyfully experience percussion in person. The Iksan Jewelry Festival is held annually in April and takes place at the jewelry complex in Iksan, Jeollabuk-do and Iksan Jewel Museum. During the festival period, jewelry lovers can see a variety of special jewelry with hands-on programs and exhibitions. Almost 60 companies from Jewel Palace participate in the festival, presenting splendid jewelry and art pieces that reflect the passion of jewelry craftsmanship. Royal Azelea Cultural Festival is held around Illimsan Mountain's Yongchu Valley in Jeollanam-do. With the biggest royal azelea field in Korea, visitors to the festival can witness sea of red flowers some as tall as human adult.